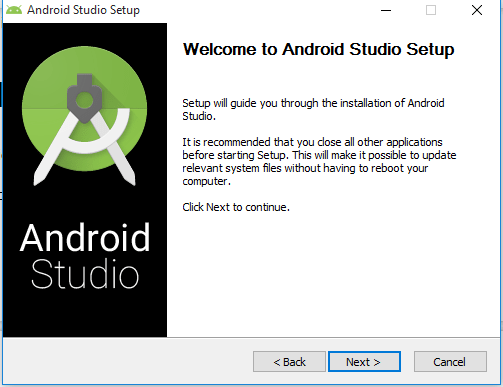 In this tutorials, we will see how to install Android Studio on Windows 10 Operating system. 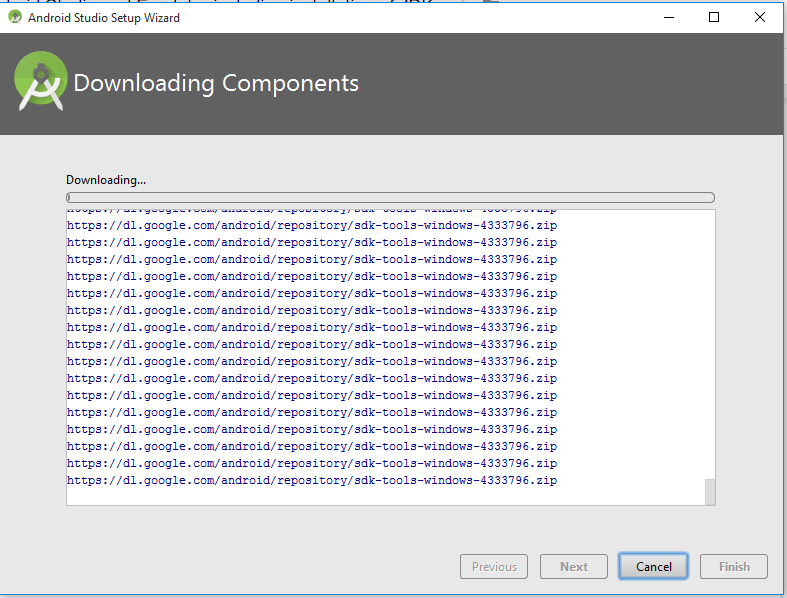 Download the latest version of Android studio from official website. 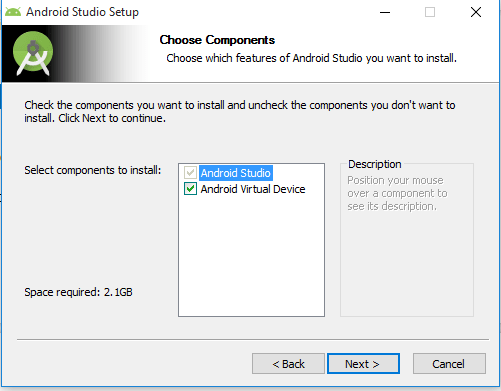 To install Android Studio, in prior we should have JDK on our machine and set up JAVA_HOME. If you do not have JDK setup yet, follow our previous articles how to install Java8 on windows 10 and how to set JAVA_HOME on Windows 10. 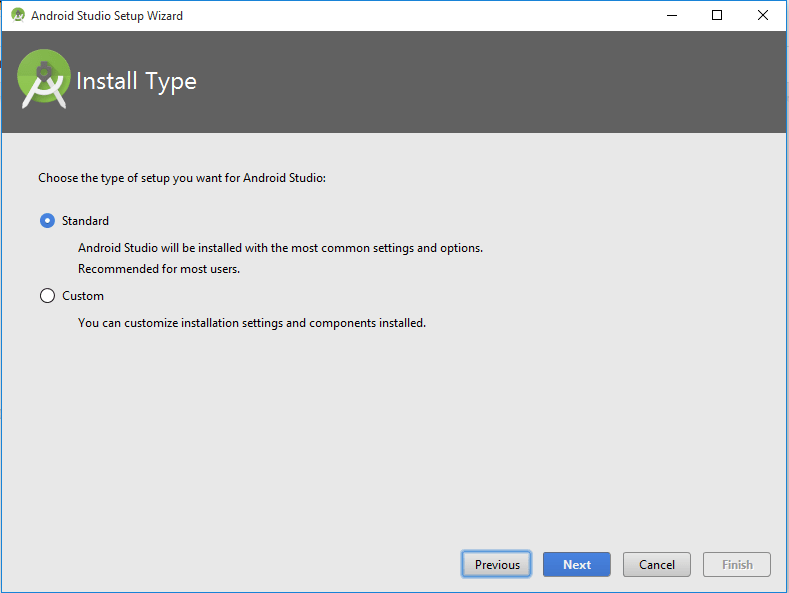 After downloading the android-studio-ide-171.4443003-windows.exe file, follow the below steps to install. Step – 1 : Right click on downloaded .exe file and Run as Administrator. Step – 2 : You will see the below Setup wizard. 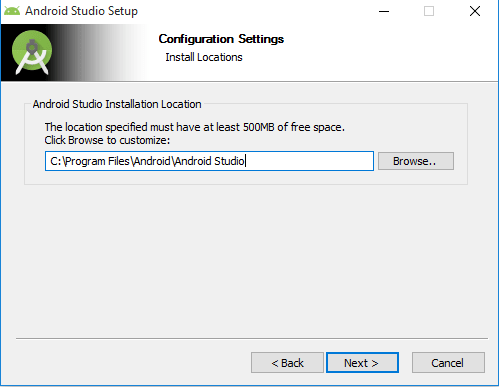 It will show the installation path, default it could be in C:\Program Files\Android\, If you want to change the installation directory, you can freely use the Browse button and give the location and click on Next. 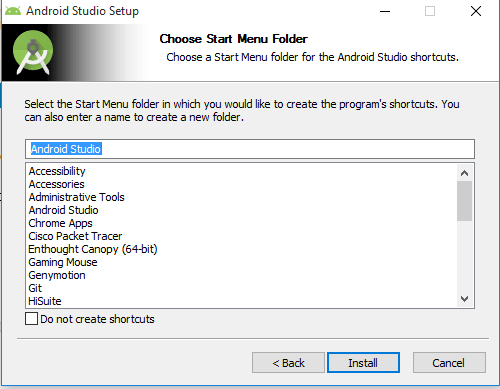 Tick on Start Android Studio and Click on Finish. 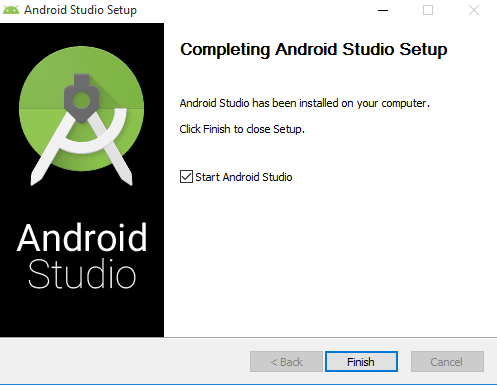 This is how, we can install Android Studio on windows 10, as we tick on Start Android Studio option, the Android Studio will launch automatically as soon as we click on Finish button. 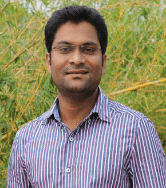 Now Lets move on to Android Studio Setup. Here is the Welcome Screen. It will ask for the Android Studio installation type. Mostly we can go with Standard setup, if you have any specific configuration setup then you can select the Custom option to manual setup. Now I am choosing Standard Setup. 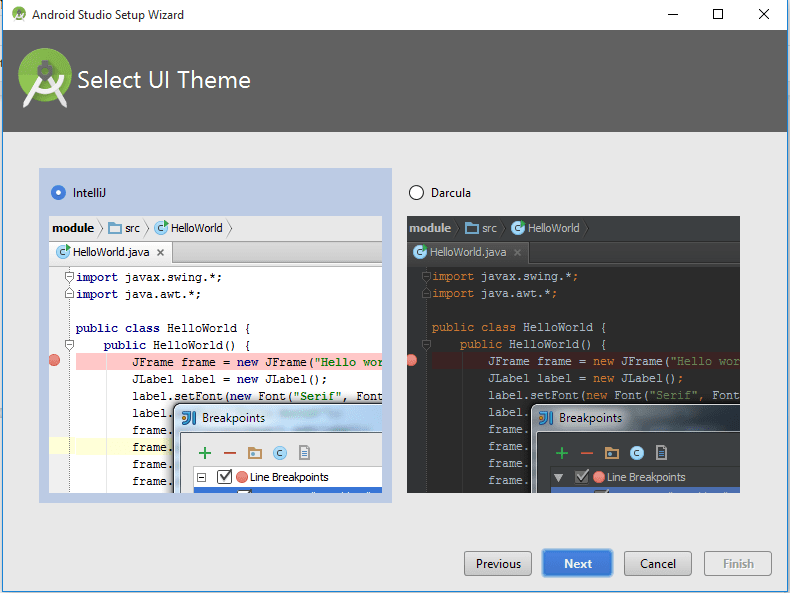 It will ask for the UI Theme, by default it would be IntelliJ, then directly you can click on Next. 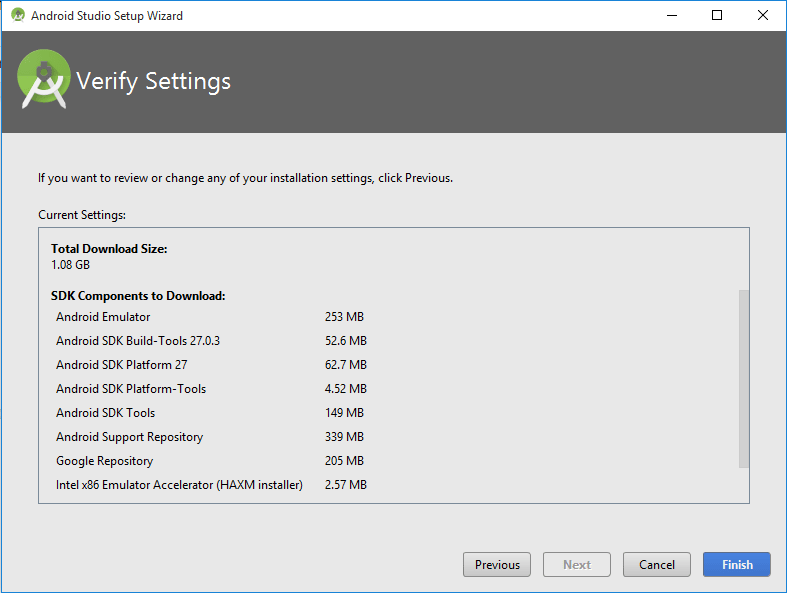 It will ask for the confirmation for installation setting wizard. 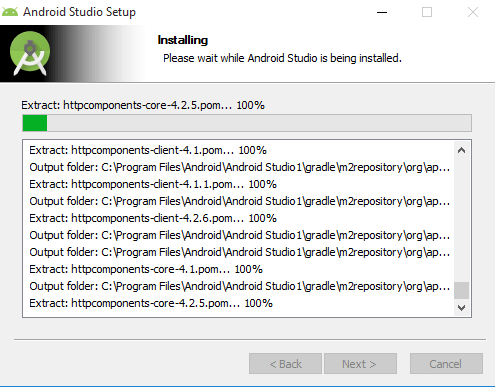 It will download all necessary components to launch the Android Studio and setting up the environment. After download and installation click on Finish. 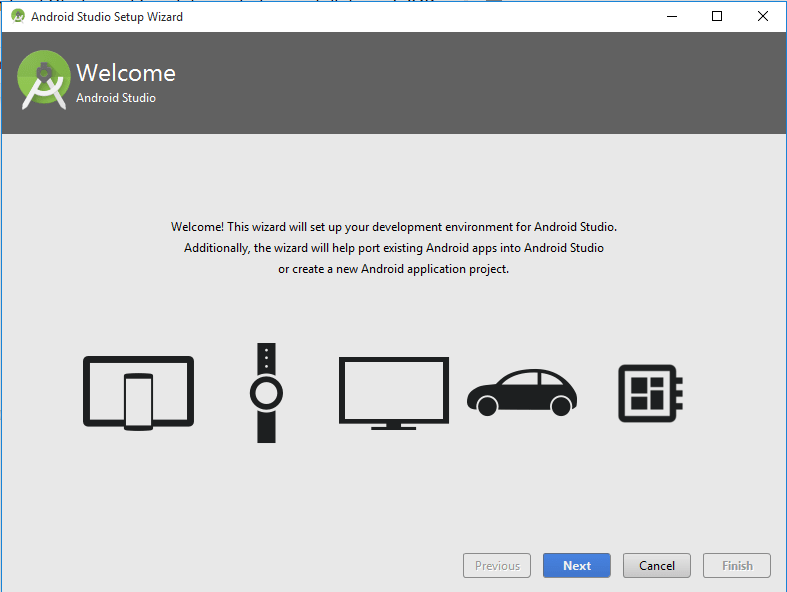 We have successfully installed the Android Studio and ready to kick off the First Basic Hello World Android Project.